Why Do Watermelons Rot on the Vines As They Are Growing? 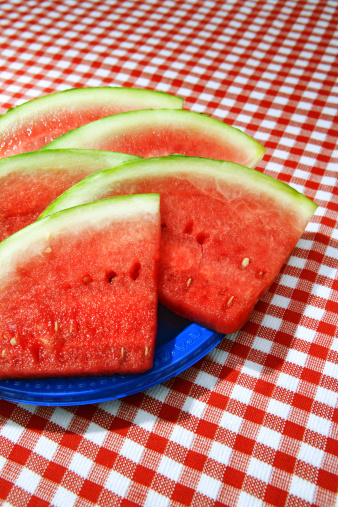 Watermelon (Citrullus lanatus) is a cucurbit, related to cucumbers, cantaloupes and pumpkins. Many cucurbits are susceptible to a wide variety of diseases and insect pests, some of which can damage or kill the watermelon fruit. Watermelons that rot on the vine may be suffering from poor cultivation practices or from a specific malady. In most cases, the problem is treatable and future fruits can be rescued. Practice good cultivation habits to maintain healthy watermelon plants. If the blossom end of the watermelon turns brown and appears to be collapsing inward, the culprit may be blossom end rot. Blossom end rot occurs when rainfall is particularly scarce. Mulch the base of the vines to help keep the roots moist and cool, and water regularly to prevent future occurrences of blossom end rot. Remove the damaged fruit. Use care around the vine when cutting out weeds or spreading fertilizer to avoid injuring the vine. Rather than a conventional mulch, try using black plastic around the base of the plant to retain moisture and block weeds. Belly rot is caused by a fungus, Rhizoctonia solani Kuhn, and is most prevalent during warm, humid or unusually rainy weather. A brown or black spot appears on the fruit where it touches wet ground and then spreads. The spot looks waterlogged and sunken and can grow large quickly. Remove the affected watermelons and improve drainage in the area. 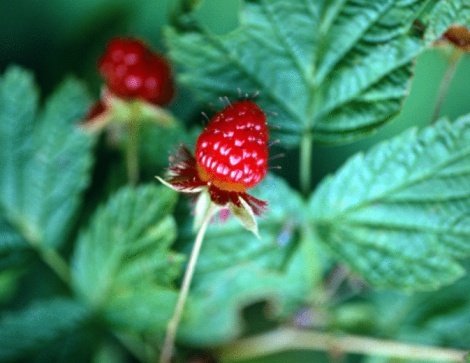 Use a cage or stakes to keep the developing fruit off the ground. Also known as black rot, gummy stem blight is caused by the fungus Didymella bryoniae. Initial symptoms may be yellowing leaves, but as the infection progresses, the watermelons may develop rotted areas similar to belly rot -- sunken, dark spots that appear waterlogged. The lesions on watermelons are an ugly, greasy-green color at first, then as the spots enlarge and combine, they turn a dark, brownish-black. Check the plants regularly for signs of infection. As soon as all the fruit is harvested from the vine, plow the vine under the soil or remove and dispose of it away from the garden. Fungicides appropriate for watermelon may help prevent gummy stem blight. Yet another fungus that causes dark, water-soaked blotches of rot on watermelon fruits, bacterial fruit blotch causes greasy-looking areas on the rind, with a whitish mold either on the greasy spot or on the fruit's stem. Avoid planting watermelons anywhere near sites where melons or other cucurbit plants have suffered from bacterial fruit blotch. The fungus can live in the soil for years. 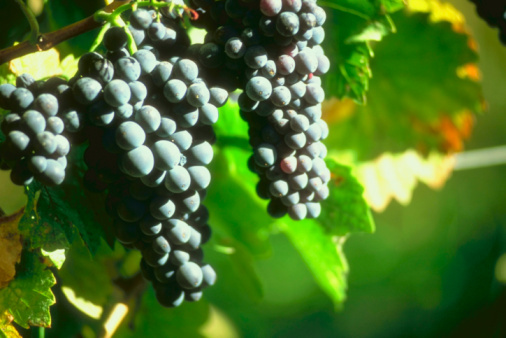 Make sure the vine has adequate drainage, especially after a heavy rain. Use a fungicide labeled as effective against bacterial fruit blotch and appropriate for use on food crops like watermelon. Follow manufacturer's instructions carefully. If your watermelons have dry, light brown spots with the appearance and texture of cork, they may be suffering from rind necrosis. This disease does not extend into the flesh of the fruit itself and there are no known controls for treating rind necrosis. To avoid the problem, plant watermelon varieties labeled as resistant to rind necrosis. Next season, plant watermelons in a completely different area of the garden and do not plant any other cucurbits where the watermelons grew this season. Buy only seeds that are treated to be sure they do not harbor diseases. After the vines finish producing fruit, pull them up and destroy them or bury the vines deep in the ground to prevent the spread of infections. Treat the vines and soil for nematode infestations. Nematodes may be disease carriers. Check watermelon vines throughout the growing cycle for signs of developing disease. Catch the problem early so you can minimize the damage. Re-evaluate cultural practices to be sure you are not over- or underwatering the plant or using too much fertilizer. Why Are My Cucumber Plants Wilting & Dying?